Are these bed/closet combinations becoming a trend? 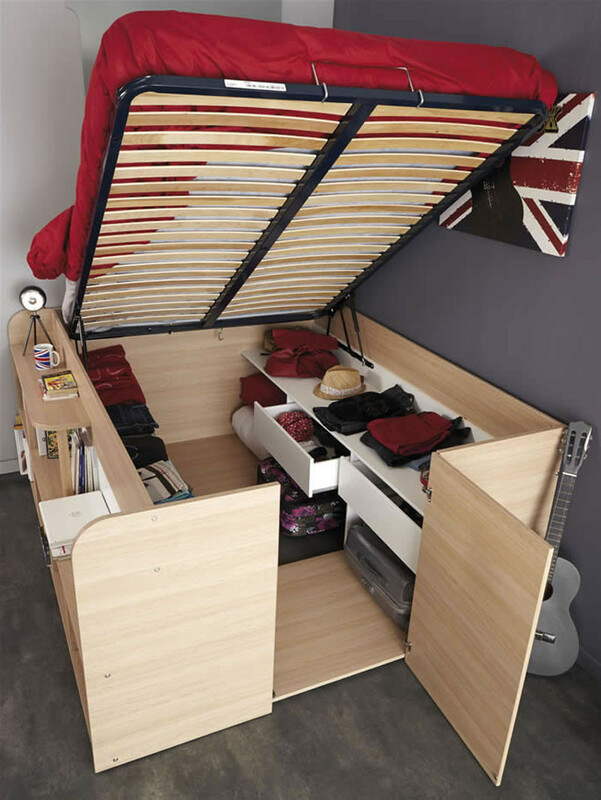 One of the most popular things we’ve ever featured was a bed (see it here), that has a full closet underneath it. Well, we just came across another one. This version is by French manufacturer Parisot. 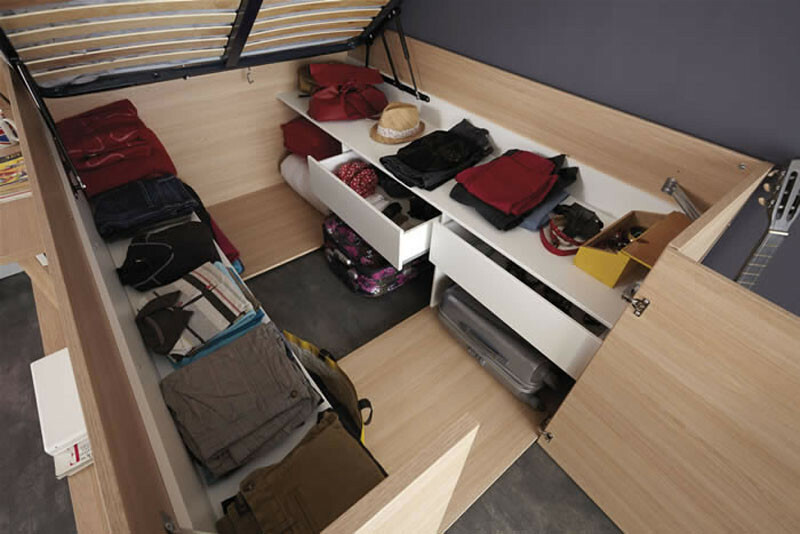 This bed/closet combo looks like it was probably designed for teenagers, with built-in shelving on the exterior, that also doubles as stairs up to the bed. 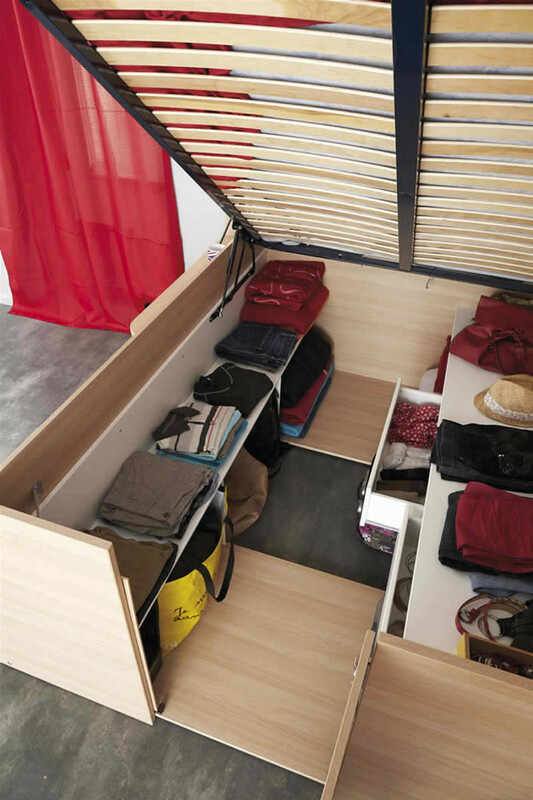 To access the storage underneath, you open the little door and lift the mattress. Once the bed is lifted, you have access to the shelving and storage underneath it. Inside there are two drawers, six open storage compartments, and two large shelves.